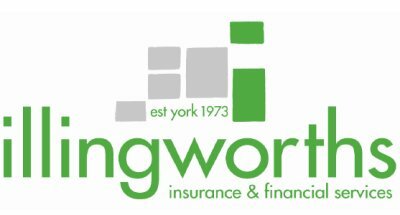 Jack Illingworth founded the company in York in 1973 and over the years the company has grown in both our knowledge and experience as Independent Insurance Brokers and Financial Advisers. The business has thrived by providing excellent customer service and having friendly staff who are experts in their field. Many of our new customers come to us through recommendation, a testament to our commitment to ensuring our clients receive the best service we can provide. In 2010 we moved to our new offices at the top of York’s most famous street ‘The Shambles’ in the city’s historic heart and within a 5 minute walk of the Minster. We hope our 40 year presence in the city reassures our clients that we will be here to offer help and advice when we are needed most. Our Financial Advisers have a wealth of experience in providing independent, unbiased advice on Pensions, Investments, Life Assurance and Mortgages. We are longstanding members of the British Insurance Brokers Association and have been authorised and regulated by the Financial Conduct Authority and its predecessor, the Financial Services Authority, since they were established. Customer satisfaction is paramount to our business. We are proud to be a corporate member of St Nicks charity (registered as Friends of St Nicholas Fields, no.1153739). St Nicks is the green heart of York: a centre for nature and green living. The charity started as ‘Friends of St Nicholas Fields’ in the 1990s by transforming a former landfill site into a thriving Local Nature Reserve, just one mile from the city centre. They continue to manage it, with the help of many volunteers, for the benefit of both wildlife and visitors. The charity is based at St Nicks Environment Centre from which combines many green features. From this base, it runs projects, events and services which help to make York more sustainable. We have joined the charity because the work they do can help everybody and is very ‘hands on’.